Boom Island was the perfect backdrop for Carly & Noah’s engagement session. They live just across the river and as avid biker’s & runners they have definitely shared many of miles along this route! It was day 7 of our first trip to Europe as a couple. We had enjoyed venturing through Belgium, Germany, and now Amsterdam. We’d had enough walking, so we fell back on our favorite pastime: bikes! That morning, we set off to rent touring bikes with a destination in mind thanks to a suggestion from a British cyclist we met the day before. We knew we were headed to Marken Island, northeast of Amsterdam, but neither of us knew how beautiful the route and town would be. And only one of us knew about the ring that was stashed carefully in our bag. A strong tailwind guided us out to the island and the sun was shining. Once we arrived in town, we stopped at the market for picnic supplies and Noah made sure we got Prosecco. To Carly, it felt like just another great day of the trip but Noah knew he had to find the perfect spot for the proposal. Finally, we found a secluded bench along the coastline, sheltered from the wind. We ate a full lunch, with stroop-waffles for dessert, and then Noah suggested we take a few photos. Carly was eager to jump at the offer and was quickly upside-down requesting handstand pics. Noah told Carly to face away from the camera for a photo, and he scrambled to get the ring out of his pocket while her back was to him. When she turned around, he was on one knee. We were both stunned. There were 3 seconds of silence before Noah remembered he was supposed to say something. He blurted out, “Will you marry me?” and rather than responding, Carly broke out in happy tears. When she regained some composure, it was a resounding “YES!”. Carly & Noah are in the midst of planning their wedding at Theodore Wirth Park this coming fall. So of course we wanted to know some details and see how things were going! How is wedding planning going? What causes the most stress? Carly: It’s going alright! I think striking the right balance with the size of the guest list causes the most stress. 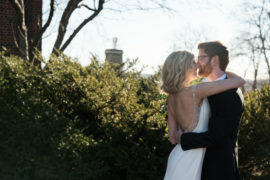 How did you hear about Studio 220 and choose Aaron as your specific photographer? Carly: A trusted co-worker and mentor of mine recommended Studio 220. Aaron’s portfolio stood out as having a classic but modern style. His photos really caught our eye with a certain timeless crispness that could only be brought out with good direction and an eye for the right candid moments. Of course, we know finding and deciding on a venue can be difficult, what made you choose Theodore Wirth Park? Carly: We bike and nordic ski the park and have logged many hours training for races together in the beautiful surrounding woods. It perfectly matched our “Modern Nature” wedding theme. Carly: I am looking forward to everything: getting ready, putting on my dress, the vibes among my family and close friends, our first look, THE OUTDOOR CEREMONY, the experience together right after, speeches, dancing, and being surrounded by a lot of love. What are you are you looking forward to after the wedding? 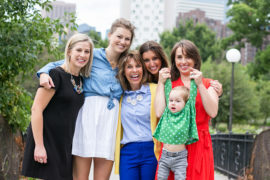 Carly: A family brunch the next morning and jetting off to Mallorca, Spain for a cycling + beach vacation Honeymoon. Any advice, or words of wisdom for other couples planning their wedding? Carly: Enjoy the process! Each decision is an experience and it’s a good chance to lean on each other and always put compromise and genuine understanding of one another above all else. 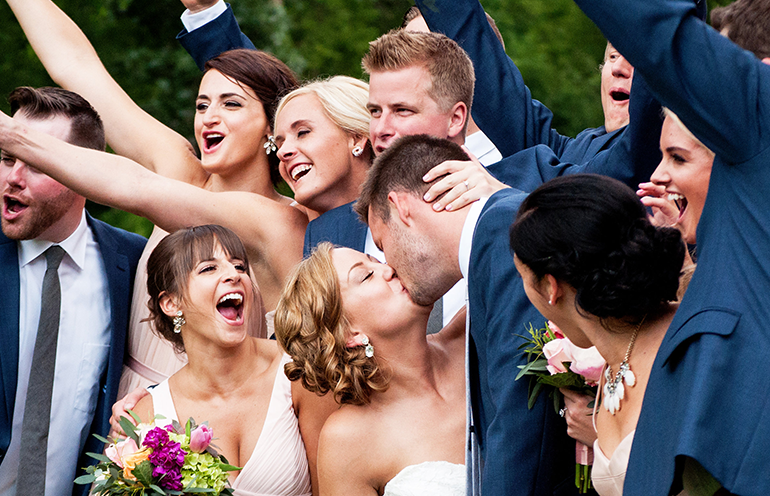 We couldn’t be more excited for their wedding and of course to share their wedding photo’s! Studio 220 Photography Has a New Website!